It looks like James Wright Chanel’s review of Patti LaBelle’s sweet potato pie paid off big for him. Not only did his review go viral generating massive traffic and driving new fans to his social media channel, but it landed him several interviews and money making opportunities, including one with Ms. Patti herself. 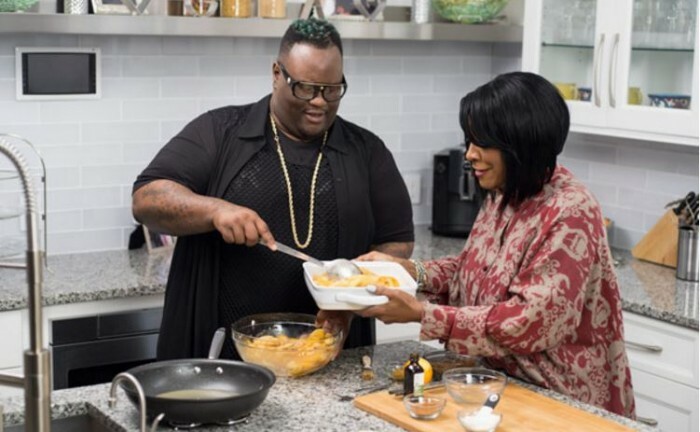 The singing duo have joined forces for a holiday cooking special for The Cooking Channel, which is scheduled to air on Wednesday, Dec. 16 at 8:30 E.T. Check out a sneak peek in the video below of what you can expect from the show. It’s funny how people who love to eat can somehow taste all the added ingredients in your dish, and sometimes even determine whether or not those ingredients are real or generic. To squash rumors of James Wright feeling some type of way about Patti claiming his review was not the sole reason for her pies selling out in the stores, Steve Harvey invited the two on his show and set the record straight. Check out the discussion in the video below, and a re-enactment of James’ review after Steve Harvey bites into a slice of Patti Pie.